All Thousand Oaks homes currently listed for sale in San Antonio as of 04/24/2019 are shown below. You can change the search criteria at any time by pressing the 'Change Search' button below. "Classic home with timeless characteristics in the highly sought-after Thousand Oaks Neighborhood!Proud ownership is apparent in this exceptionally well-maintained home.Starting w/beautiful landscaping and mature trees.Backyard Oasis w/built-in kitchen and pool.Spacious family room features 20'ceilings & brick fireplace.Master w/office on main.Master Bath has dual vanities,step-down shower & large walk-in closets.Kitchen boasts granite island,gas cook-top,dbl ovens & custom cabinets.See Add Docs "
"**4bed/2bath**2114sf single-story**Desirable 1000 Oaks Subdivision**Oversized .23 Acre Lot With Mature Trees**Award-winning NEISD schools**Large Great Room With Exposed Beams, Vaulted Ceilings, and Custom Picture Windows**Floor-to-Ceiling Brick Fireplace**Modern, Open-Concept Living, Kitchen, and Eating Areas**New, Modern Kitchen With New Cabinetry and Beautiful Stone Counters**Double-door Exterior Access**All New and Ready For You**Call Today For a Private Showing**Excellent North Central Locat"
"Check out this great single story home on green belt! Great features include open floor-plan with vaulted ceiling, study/craft room/kids room, granite counters, redone baths, updated light fixtures, double oven, covered back porch, oversized garage, and more! Split floor-plan with amazing master suite that includes 2 walk-in closets and dressing area." 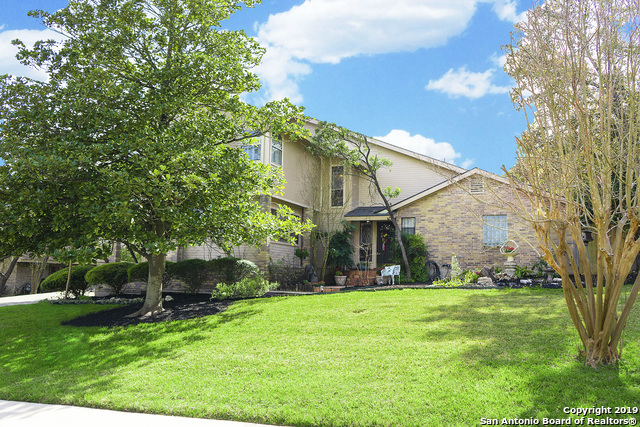 "This San Antonio one-story offers hardwood flooring, a fireplace, and a two-car garage. Upgraded features include fresh interior paint in select rooms. New electrical panel to be installed within a few weeks of initial list date. This home has been virtually staged to illustrate its potential! Please note that refrigerator and microwave in the kitchen photos do not convey. Home comes with a 30-day buyback guarantee. Terms and conditions apply." "Extraordinary & well built Gordon Hartman Garden home in Thousand Oaks subdivision. Private lot w no neighbors directly to the left or behind the home. Gorgeous kitchen w granite counters, tile backsplash, stainless steel appliances!! Brand new tile flrs in Kitchen & both bathrms!! Extra Large combined Living & Dining. Added value 1 year old Refrigerator and Washer & Dryer all remain. Three sides brick. Well maintained. No HOA Fees.. Inside 1604 Convenience!! Roof, water heater & carpet approxim"
"Unpack & move-in! Roses greet you when entering the private patio of this North central townhome. Bright & open w/recent interior/exterior paint, newer HVAC & updated electrical (both w/warranty) allows you to spend money on the fun stuff! Located in the desired NEISD, this 3/2.5 townhome has convenient access to major highways, shopping, the airport, downtown, & dining. It has 1-car garage & 1 additional assigned space. Great first home, lock & leave, or investment rental. Low HOA. 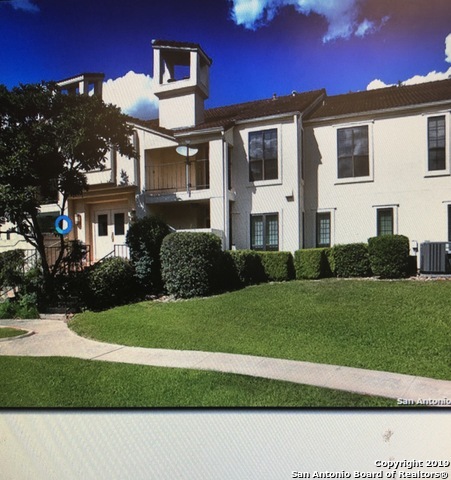 All applianc"
"Incredible place close to everything Beautiful Mediterranean style condo /stucco tile roof burning fireplace ceramic tile throughout spacious and elegant floorplan with two private patios...HOA includes water...Award wining school NEISD. come see won't las long easy to show. Check out BONUS!!! CONDOMINIUM ASSOC FEE IS $390.12"